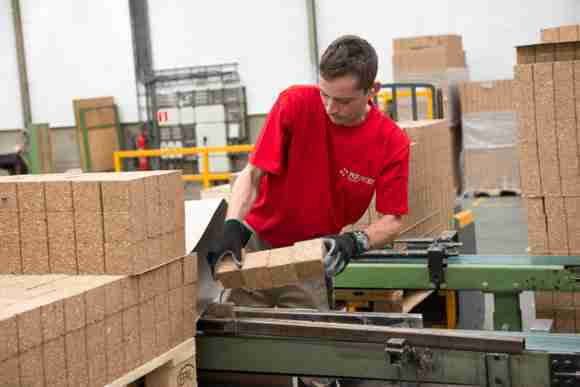 Litco International intends to begin offering engineered wood pallet blocks in the United States later this year. The blocks will help pallet makers reduce the amount of whitewood and labor to produce block pallets. The company will invest in extrusion lines to facilitate production of the new product line branded as Inca Engineered Extruded Wood™ Blocks. Litco is reaching out to pallet companies to engage in a dialogue to better understand block size and volume needs. As a domestic producer, it will eliminate the time and cost associated with shipments from Europe. Among the sizes currently considered are 3 in. x 3 in. and 3.5 in. x 3.5 inches, in various lengths. A point of performance differentiation from other composite wood blocks is the company intends to produce denser pallet blocks. The blocks will exceed 0.6 gram per cubic centimeter, a block density typically available from overseas sources. The higher density will reduce flaking, improve durability, and nail retention issues experienced with competing products. Inquiries have been gradually growing over the last few years, according to Gary Sharon, executive vice president for Litco, He had been receiving calls about supplying pallet blocks. However, — “production didn’t make sense in terms of price or volume to compression mold them in the same process, the process used to produce Litco’s industry-leading INCA Engineered Molded Wood™ pallets, and core plugs. With more inquiries fielded in 2018, Sharon said that there is now enough interest to justify investment in extrusion lines for pallet blocks and potentially other extruded products. “The blocks are a natural fit for us, as we have the infrastructure to process the fiber. It is the same for compression molding as it is for extruding.” “The only investments required are the extruding lines and related equipment Completion of the project is anticipated in the 4th quarter of 2019. Engineered wood blocks eliminate some issues associated with timber blocks, explained Page Clayton, Litco’s sales engineer, a graduate of Virginia Tech. “Wood has a different strength property in each direction,” he said. “So being able to reorient the wood grain or wood fiber in a more uniform configuration allows us to improve select mechanical properties. Engineered wood blocks offer many other benefits. Because they come “ready for assembly”, there is no waste, and additional labor or equipment is required to size them. Dimensional accuracy and consistent quality also facilitate automated assembly. In addition, the low moisture content means there is no drying or mold treatment needed. Blocks do not check or crack due to shrinkage from drying. The moisture content of Litco’s Engineered Extruded Wood™ block is 7% at the time of manufacture and is ISPM 15 compliant. Sustainability is another advantage. Damaged logs, wood waste, and other wood by-products are the materials of choice for Engineered Extruded Wood™ blocks, making them a positive choice for a circular economy. The component materials are easily reusable for the end user as mulch, absorbents, and animal bedding. To contact Litco about its composite pallet block initiative, call 877-431-3308 or email Page Clayton at page@litco.com.